The following Rachio Wireless Flow Meter installation instructions are intended only for underground installations in irrigation systems with 1-inch copper pipe. If your system uses a different pipe size and/or material, please visit rachio.com/flow for instructions tailored to your system. 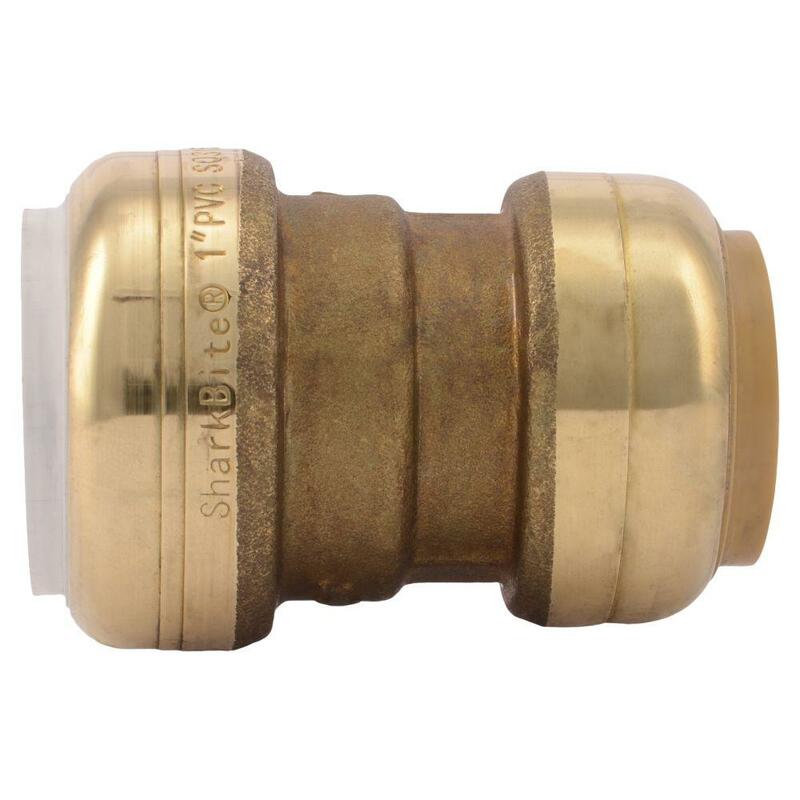 Sharkbite brand, SKU #UIP4020. Available at Home Depot, Supply House, and Amazon. 1 in. Copper Tubing Cutter. Do not use a hacksaw. Available at Home Depot and Amazon. Above: Wireless Flow Meter with all parts and required fittings for 1-inch copper underground installation. Mark 14 ¾ inches after the first mark; this will be the second cut. Hold the pipe and use the pipe cutter to create a square, straight cut in the pipe at the two marks. The fittings will not securely attach if the angle of the cut is not square. Push together one Sharkbite fitting and one PVC transition adapter (the male side of the union). Completely wrap the Sharkbite fittings with silicone tape including one inch before and after each fitting. As you wrap, overlap by one half inch. You do not need to wrap the PVC lock fittings. Check installation site for leaks. If there is a leak, turn the water off and make sure the fittings are square and fully pushed up to the body of the flow meter and insertion marks.